Considering my passion for foreign languages and fiction, I can’t believe it’s taken over five years to invite a literary translator onto the Sofa. 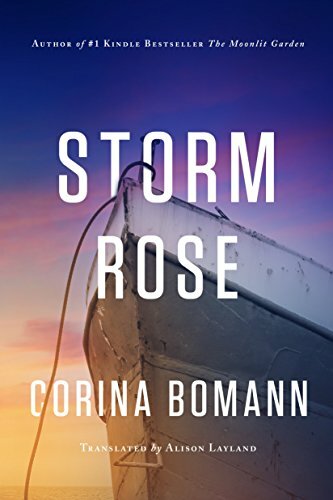 Today I am delighted to be rectifying that with a visit from Alison Layland, and whilst she was busy writing her guest post, I decided to read her latest translation, of Corina Bomann’s romance novel Storm Rose, alongside the original German. This is something I enjoy doing with French novels if I’ve been sent the English version. If that sounds like a strange idea of fun, for those who don’t know, I am not a translator but have a keen interest in the subject due to my close links with France and having studied French and German at university. I have a great love of French fiction, always in the original, as I can read it at normal speed. Due to lack of use, my active German is rusty – I can still read novels in the language but it takes me a lot longer, so I rarely do. Alison’s latest translation, Storm Rose, piqued my interest because of a storyline involving the former East Germany, and that is what I most enjoyed about it. As a linguist I have long been conscious of the immensely complex task translators face, so it’s been interesting to think and learn more about it. This text doesn’t present any unusual technical obstacles but as you’ll hear, it had its own challenges. Alison’s translation is fluent, polished and faithful to the original in both style and content. I consider myself fortunate to be making a living from two things I love, translating and writing fiction. They are two related and complementary professions – my translation work, reading and research in other languages inspire my writing, just as my writing skills feed my translation. My love of languages – I translate from German, French and Welsh, have a working knowledge of Spanish and am currently teaching myself Croatian – mirrors my love of words. In order to translate well, as well as knowing your source language thoroughly, you must be able to write well in your target language. The storytelling and characterisation are, of course, the original author’s, but the way they are conveyed in a new language – English in my case – is the translator’s. Whether fiction or non-fiction, whatever the genre, a translation should read as though it has been written in the target language – although a novel or story should, of course, retain the atmosphere and flavour of its original culture and, as closely as possible, the author’s voice. Having said that, I also have to bear in mind the knowledge and expectations of readers, which may vary substantially between the source and target cultures. Just as decisions about word choice, terminology and register have to be made, cultural references also need to be presented in a way that will flow for readers in English. Sometimes a cultural reference can be mentioned in passing, leaving the reader either to accept it as “colour”, or to store it away mentally and look it up later. At other times, a reference that is taken for granted in German or French may need some explanation in English. Translation can involve a surprising amount of research: in order to express something correctly, it’s essential to understand what’s being described in German or French – recent examples in my experience have ranged from boat-building to tea growing, and for my first translated novel, the fascinating Colour of Dawn by Haitian author Yanick Lahens, I read widely – both fiction and non-fiction – to familiarise myself with a whole new culture, that of Haiti, in preparation for the translation. However, as when writing fiction, it’s essential to avoid excessive exposition. Sometimes creativity is needed to present unfamiliar concepts clearly but subtly. My most recent translation, Corina Bomann’s Storm Rose had a background in 1980s East Germany, with references to various institutions of the former East Germany such as the FDJ (Free German Youth) movement and TV programmes, which would probably be familiar to most German readers, but not to most anglophone ones. The story alternates between a close third person and first person, so any hints and references had to represent the character’s point of view convincingly, without stepping “out of character” in order to explain. The idea of being in character is an interesting one. Although I’m not a natural actor, I do think of writing as a kind of method acting, as I get in character to convey the voice of each novel or viewpoint character. Literary translation takes it a step further, since I have to find the author’s voice – which might be quite different from my own – and reflect that when translating into English. It’s fascinating to compare different translators’ approaches, as no two translations of a text will be the same. I like to compare it to an actor playing a part – the words are the playwright’s but each individual performance is the actor’s interpretation. Similarly, a novel is the original author’s, but a translation is effectively a new, separate piece of work, and is credited and copyrighted as such. Depending on circumstances, translators may work closely with authors, with queries of meaning that can affect linguistic decisions, and there have even been cases where the author has taken the opportunity to modify their novel in collaboration with the translator. When undertaking a commission, a translator becomes very familiar with a work – at least as close as an editor does. Usually I begin with a rough draft, which is also my first reading of the novel – I enjoy approaching it as a reader would and can rectify any wrong choices in subsequent drafts. Then I go back and polish it in at least one further draft, and often more, before sending it to the editor. A translation usually goes through an editing stage (or several) prior to publication, just like any book. I’ve been fortunate with my editors and, as with my writing, enjoy the editing process. An added nuance to the editing of my literary translations for publisher AmazonCrossing is the fact that I’m British but these novels are predominantly aimed at a US readership: I’ve been fascinated by the editorial exchanges we’ve had about the differences between American and British English, and preferences of readers in each country, which run much deeper than most people realise. I love reading literature from all over the world. I usually read novels written in the languages I know in the original language, but I also read a lot of translated fiction, which gives me an insight into cultures I would otherwise not have access to in a more emotionally immediate way than a factual book. When researching for my own novel, Someone Else’s Conflict, an invaluable part of my research for the Croatian backstory of the novel came from reading translated fiction from the region, from classics such as Ivo Andrić’s The Bridge Over the Drina (translated by Lovett F Edwards) to contemporary fiction from Istros Books, a small press who specialise in translated ficiton from the Balkans and south-east Europe. I’m delighted to be making my own contribution by bringing foreign-language novels to English-speaking readers, and that the authors I’ve translated have been pleased with my work. 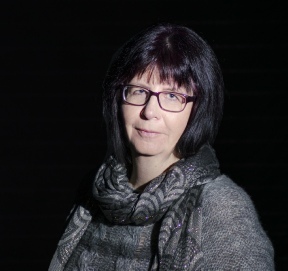 Thank you to Alison for this fascinating insight into the unfamiliar and undervalued work of literary translators, whose vital role in bringing the riches of foreign fiction to new audiences is all too often unacknowledged. Please remember to #namethetranslator! Coincidentally I am currently reading Han Kang’s extraordinary novel The Vegetarian, winner of this year’s Man Booker International Prize, which would not be possible without the translation from Korean by Deborah Smith. Such an interesting post, thanks, both! Thanks Claire – glad you enjoyed it! Fascinating insight, thanks Alison. I’m in awe of your linguistic range. Sometimes it must be like writing a whole book from scratch but with the plot already set out. A question, Alison: do your translated texts ever get significantly longer – or shorter – than the original? Is it something you bear in mind? There’s quite a debate about how close to the original text to stay, and it depends on so many things, not least the translator and author, but also possibly a publisher or editor’s guidelines. It can be a matter of personal preference and style whether to keep a foreign flavour by literally translating e.g. an idiom (provided the meaning is clear) or whether to replace it with something similar in English that has the same general meaning as the original. And then there’s humour and word play…! Like poetry, these are often incredibly difficult to render, and sometimes you have no choice but to lose it and possibly gain something back elsewhere, in a different way. Regarding length, overall a translation of a novel will be roughly the same in length (pages), so usually it’s just as long as it needs to be to translate the text with no need to worry unduly. However, actual word counts can vary widely, more between some languages than others – e.g. German has a lot of compound words so word counts from German to English increase, although a translated paragraph can actually be shorter in English. Thank you, Alison. That’s all so interesting; so many incidental and small decisions to be made, that add up to quite a lot. At school, translation was as literal as possible – you could more-or-less do it with a dictionary to hand, looking it up word by word. But at a professional level, there’s more artistry involved, isn’t there. I hadn’t truly appreciated that before. Thought-provoking stuff. Thank you both for a very interesting read! I must check out Storm Rose. Thanks for your comment – really interesting to hear another translator’s take on all this!